Why: To celebrate PLEASE BRING BALLOONS!! Why: To celebrate PLEASE BRING BALLOONS!!! Please Bring Balloons Book Launch Party! PLEASE BRING BALLOONS is officially out today!!! 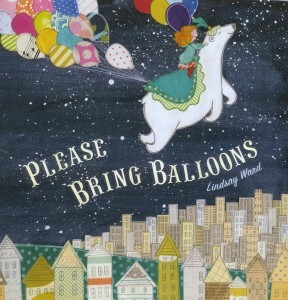 I’m so excited that today is the book birthday of my newest picture book, PLEASE BRING BALLOONS! Since I finished the artwork for this book I have completed another book, which will come out next fall, and started working on a new story. It seems so long ago! I’m thrilled it will finally be released into the wild today! 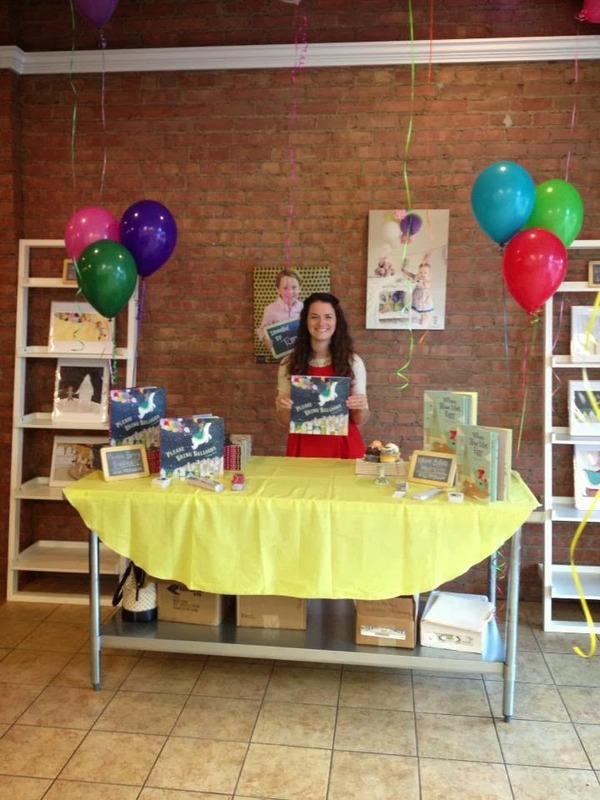 Celebrate the Release of Please Bring Balloons! Tomorrow is the release of my new picture book, PLEASE BRING BALLOONS, and I couldn’t be more excited about it! To celebrate the release I’m giving away prizes!!! Want to win?!! Be the first person to tweet me a photo of Please Bring Balloons in your local bookstore when it comes out tomorrow and you could win a signed copy! All tweeted photos I receive after the first will win a signed bookplate! Tweet me the page(s) Blue, the main character from my previous picture book When Blue Met Egg, appears in Please Bring Balloons and win a signed print (see photo below)!